pine, woody, grapes and berries. How to Grow Dark Star Pot Plants? 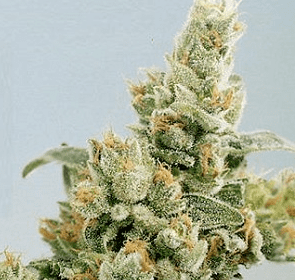 Dark Star is a very resilient, enduring and high-yield strain that calls for growers having a certain degree or level of cultivation experience. For a start, you’ll have to apply a generous dose of nutrition as the breed is a gormandizer. When the sapling develops, dense, heavy and sizable buds appear which are shrouded in pinky purplish hairs and brimming with the sticky inebriating resin. 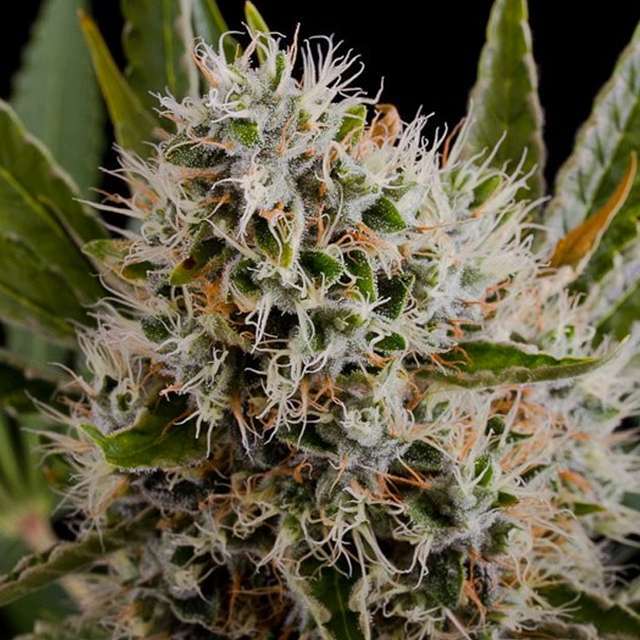 Irrespective of whether you harvest hydroponically or in the soil, you can easily look forward to reaping nothing less than 14-18 ounces of buds for every sq. meter. The saplings reach a height of 100cms to 120cms in most growing environments typified by strong lateral branches coupled with a thickset cola sprouting upwards from the middle. The leaves tend to be broad in shape and have a dark green hue. 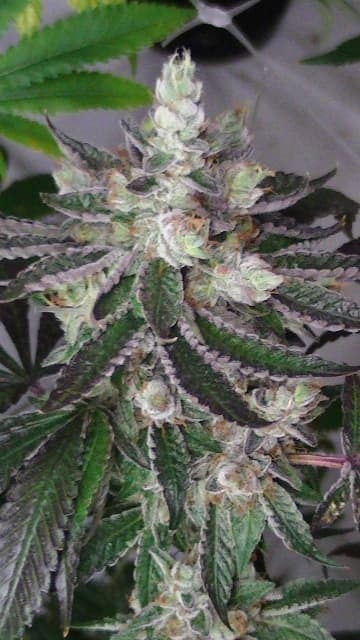 Indoors, the seeds take 9-10 weeks to grow into adult plants laden with resinous colas. 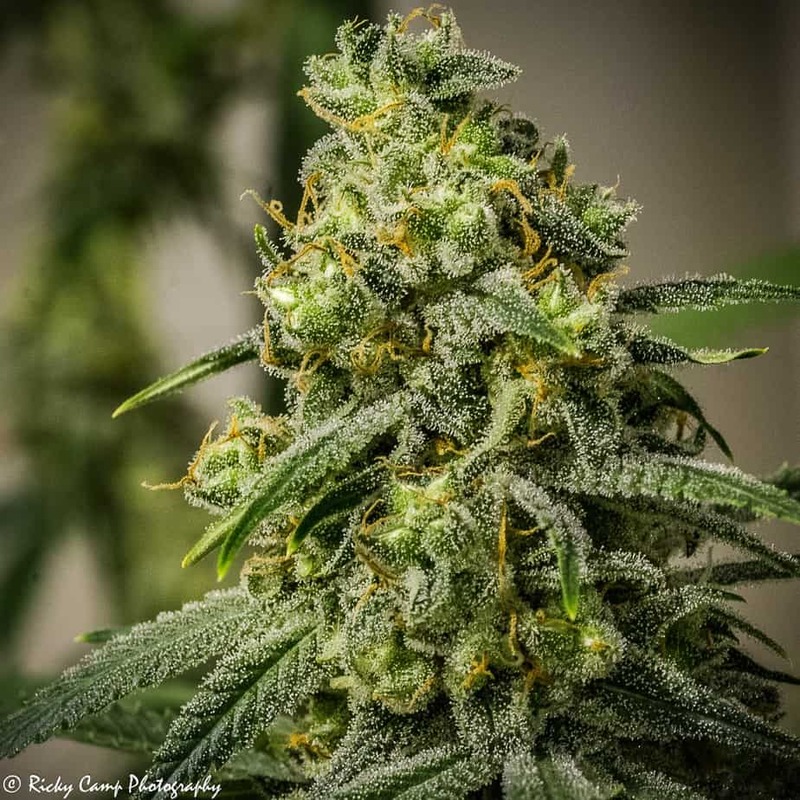 Outdoors, the buds are ready to be picked up towards the end of October and every single plant offers about 24 ounces (or 680g) of buds. The Dark Star breed is more amenable to cultivating indoors in greenhouses and hydroponically. Making use of the Sea of Green (SOG) or SCROG (screen of green) strategies are strongly advised for enabling the plants to reach their full potential. Use the right mix of NPK (nitrogen, phosphorus, and potassium) fertilizers at different growth stages. The soil in pots should be airy and loose flowing so that nutrients evenly spread throughout facilitating the plants to soak up nutrients and water smoothly. Additionally, make sure the grow environment remain ventilated and well illuminated. With a THC level touching 20%, Dark Star can give Mary Jane enthusiasts a strong head rush that leads to them feeling sedate after a while. If you draw in a good number of puffs or vapors, you’ll be rewarded with a journey in celestial space. In terms of aromas, Dark Star scores low but is heavy on the taste front. After inhaling vapors or smoking this strain, your taste buds would detect flavors of grapes, berries, fresh pine, and spices.